Each year GRAITEC hosts a North America advanced training focused on Advance Steel, Autodesk’s structural steel detailing software. This year the User Group took place in Orlando, Florida on April 26-28. GRAITEC User Group welcomed Autodesk Advance Steel users from US and Canada and from all areas of the building and construction industry, including Steel and Precast Detailers, Steel Erectors, Steel & Precast Fabricators, Structural Engineers and Contractors. This 3 day event included in-depth workshops, technical sessions and networking. “The objective of the User Group is for all attendees to develop their Advance Steel skills, learn about trends within the building and construction industry and network with other industry professionals.” Hugo Michaud, Graitec General Manager Americas. For this second edition, GRAITEC was pleased to welcome once again Michael Gustafson, P.E. Autodesk Industry Strategy Manager, Structural Engineering who talked about the Future of Advance Steel, and presented all the new features available in the 2017 version. 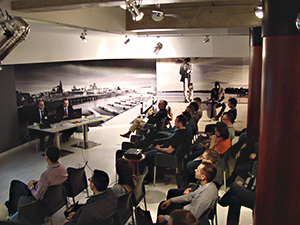 The User Group attendees explored the extensive portfolio of GRAITEC and Autodesk latest advanced BIM technology. Indeed, GRAITEC experts gave intense training on various topics: Management Tools Database, Connectors & Special Parts, Custom Connection, Project Management & Mutli User, Plateworks, Drawing Styles Customization etc. 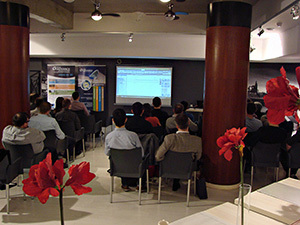 This event allowed GRAITEC to introduce Advance Workshop, its steel fabrication management information software. One-on-One sessions took place in order to discuss about its BIM workflow with Advance Steel, its ERP Systems integration, its real-time material traceability and more. GRAITEC demonstrated how Advance Workshop enables companies to drive increased efficiency and improved profitability. Autodesk Structural Fabrication Suite, the new Autodesk complete toolset for structural engineers and fabricators which combines Navisworks Simulate, AutoCAD, Revit and Advance Steel). The new version of the extension PowerPack for Advance Steel which delivers additional tools and unique value to users. This version introduces more automation and functionality enabling them to boost their output and improve quality. 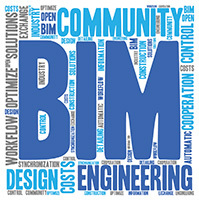 GRAITEC Advance BIM Designers collection of applications for Structural Design, Modeling and Documentation which run on multiple platforms including Revit, Advance Design, Advance Steel enabling flexible and intelligent structural BIM workflows. The success and positive feedback of this event consolidated GRAITEC’s confidence in its BIM and CAD solutions and clearly strengthen its professionalism and position as an international BIM provider and Autodesk’s partner in North America.